Any farmer will tell you that planting, growing and harvesting crops can be a tricky proposition. Too much or too little rain, a surprise cold snap, swarm of locusts, dramatic weather or geological upsets or just plain bad luck can easily destroy any healthy crop overnight. Access to healthy, fresh produce is essential for any community especially those trying to rebuild after a cataclysmic event. Recent innovations in LED technology have revolutionized the way we look at agriculture and opened new doors for providing communities with fresh vegetables. After the Miyagi Prefecture in eastern Japan was hit by the powerful earthquake and resulting Tsunamis in 2011 it had been struggling to get back on its feet including providing its population with fresh uncontaminated food. Shigeharu Shimarmura, a Japanese plant physiologist got creative and using innovative LED technology and a repurposed semiconductor factory, set about building the world’s largest indoor farm. The farm is around 25,000 square feet, and opened in July of 2014. Now it is producing nearly 10,000 fresh heads of lettuce each day. The LEDs used were specially designed by General Electric and emit light wavelengths that are optimal for plant growth. The LED lights are the key part of the farm as they simulate night and day cycles of growth. 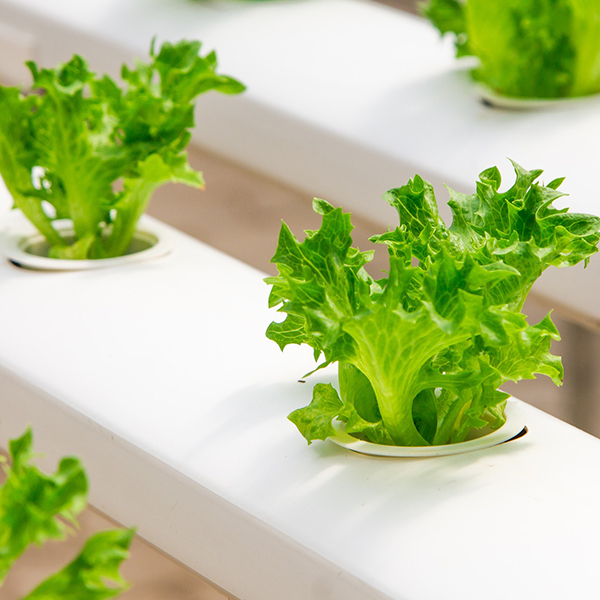 Using this LED system, Shimamura is able to grow lettuce that is nutrient rich two and a half times faster than an outdoor farm. The closed environment also helps minimize waste, reducing it from around 50% (the average for outdoor farms) to just 10%. Additionally, the ability to control temperature, humidity and water use has made the farm extremely water efficient, using 1% of the normal water usage in outdoor fields. Shimamura believes that this technology can help solve foot shortage problems throughout the world. He plans to continue to work with this technology and bring about the next big revolution in agricultural science. Derived from our state-of-the-art optical and image processing technologies, Konica Minolta and the group companies Instrument Systems offer a wide range of LED measurement solutions. Learn the basic principles to complex and detailed overviews of light science with our free education booklet. To find out more, click here or contact us at 6563 5533 for a free consultation with our application specialists. Mervin Woo is currently the Sales Manager for Konica Minolta Sensing Singapore Pte Ltd. Mervin graduated from The Royal Melbourne Institute of Technology (RMIT University) and joined Konica Minolta (previously known as Minolta Singapore Pte Ltd) in 1996. With over 17 years’ experience in the field of light and colour instrumentation industry, Mervin has been invited to give talks in several conferences and seminars on light and colour management, jointly organised by various industry associations, such as Society of Information Display (Singapore and Malaysia Chapter), and International Commission on Illumination (CIE), Malaysia. He has also written an educational handbook, The Language of Light, which explains basic concepts in photometry and colorimetry. This handbook also gives an overview on photometric and colorimetric instrumentations and addresses important considerations on instrument’s selection.